If for some reason you prefer using ih8sn0w’s Sn0wbreeze over iPhone Dev-Team’s Redsn0w, the good news for you is that it has just been updated to version 2.9.2, bringing tethered-jailbreak support for the latest version of iOS. 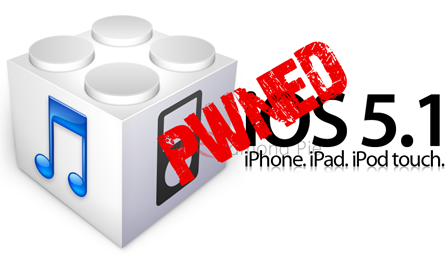 Earlier this week, iOS 5.1 was released to public which closed the jailbreak exploit used in both Corona and Absinthe. iPhone Dev-Team was quickly up to task in updating Redsn0w to version 0.9.6b10, bringing tethered-only jailbreak support for all iOS devices except for the A5 based iPhone 4S and iPad 2. The reason why A5 based devices cannot be currently jailbroken is because of lack of bootrom level exploit on the new A5 chip. This tethered jailbreak for older devices (such as A4 and below) is possible largely due to Geohot’s limera1n exploit. Coming back to this release of Sn0wbreeze, you can use it to tether-jailbreak iPhone 4, iPhone 3GS, iPad 1, and iPod touches by restoring to a custom-cooked-jailbroken-firmware of the latest iOS 5.1 release. The instructions for jailbreaking using this version of Sn0wbreeze is the same as previous version, which you can follow here. Also as this is a tethered jailbreak, your iOS device will need to be plugged in to your computer every time it is powered on, in order to boot into a jailbroken state. This can be done using Sn0wbreeze’s built-in iBooty utility. Redsn0w users (for both Windows and Mac) can also create custom firmwares without the updated basebands. Custom firmwares are handy for iPhone users who rely on carrier unlocks such as Ultrasn0w or GEVEY SIM. It is important to note that current version of Ultrasn0w does not support iOS 5.1. The iPhone Dev-Team though has promised to update it in near future, bringing support for iPhone 4 and 3GS users running iOS 5.1 on older basebands.